Kathy Gifford is a leading expert on state Medicaid programs. She advises clients on the challenges, opportunities and complexities that arise in a program designed and administered differently in every state. She co-authors the nationally-recognized, annual Medicaid budget survey report for the Kaiser Commission on Medicaid and the Uninsured. In addition to tracking and analyzing budget and policy trends in state Medicaid programs, Kathy and her co-authors identify emerging issues for policymakers across the country. 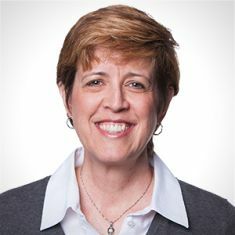 Kathy works with other public and private sector clients including states, health plans, provider organizations and associations, and patient advocacy groups. Her areas of expertise include program and policy analyses, market research, and procurement. She is a frequent speaker on Medicaid related topics for both public and private audiences including appearances on panels for the National Conference of State Legislatures, the Council of State Governments, and the National Health Policy Forum. Kathy has also testified on Medicaid policy on Capitol Hill. Before joining HMA, Kathy was the director of the Indiana Medicaid program. She helped develop and implement the Indiana Children’s Health Insurance Program (CHIP), which received national recognition for its success in outreach and enrollment. She also chaired the Indiana Prescription Drug Advisory Committee and was responsible for the implementation and ongoing policy development of the Hoosier Rx Program, which provides prescription assistance for low-income seniors. Kathy also served in leadership for the Indiana State Budget Agency with oversight responsibility for a wide range of issues including Medicaid financing, welfare reform, and school formula equalization. Before discovering her passion for public policy, Kathy practiced corporate, securities, and general business law. She holds a JD degree from the Georgetown University Law Center and a bachelor’s degree in political science from DePauw University. Kathy is a mom and an avid Colts and Pacers fan.